We have lots of greens to plant and some ready to be harvested. Your help is needed to create rain water berms, pushing wheelbarrows, pitchforking compost, mulching, and weeding the garden. After the Castle Garden fun, we will caravan on over to Bluebird Hill and visit the Glendora Conservancy property at the top of the mountain for a seed swap. So bring your garden seeds and/or pick up some seeds. Succulent cuttings are also welcome. We will be making seed bombs using California native plant seeds. Shiny New News! The New Newsletter is here! The November/December 2018 GHS Newsletter is out! 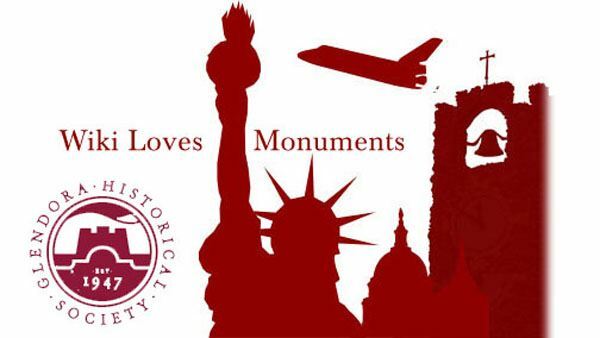 Wiki Loves Monuments Competition Now Open for September! The Society loves monuments. Do you? Here is your opportunity to contribute to the preservation of monuments through photography! Wiki Loves Monuments is an annual photo competition hosted by Wikipedia to improve coverage of historic and cultural sites throughout the United States. Participants submit their photographs of cultural heritage monuments to the Wikimedia Commons for use on Wikipedia and other free knowledge projects. Castle Jalopy A Classic Car? 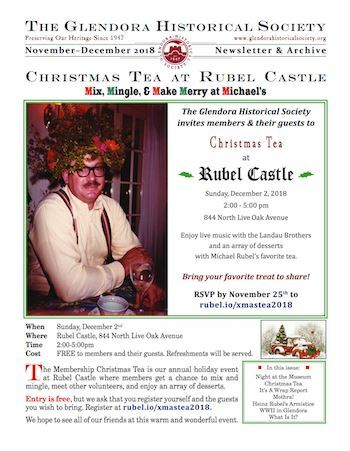 Michael Rubel's old grove tractor from Rubel Castle is our classic vehicle entry. It pushes. It tugs. It lifts and carries personnel and rocks. This three-wheeled machine even blows exhaust out the front! 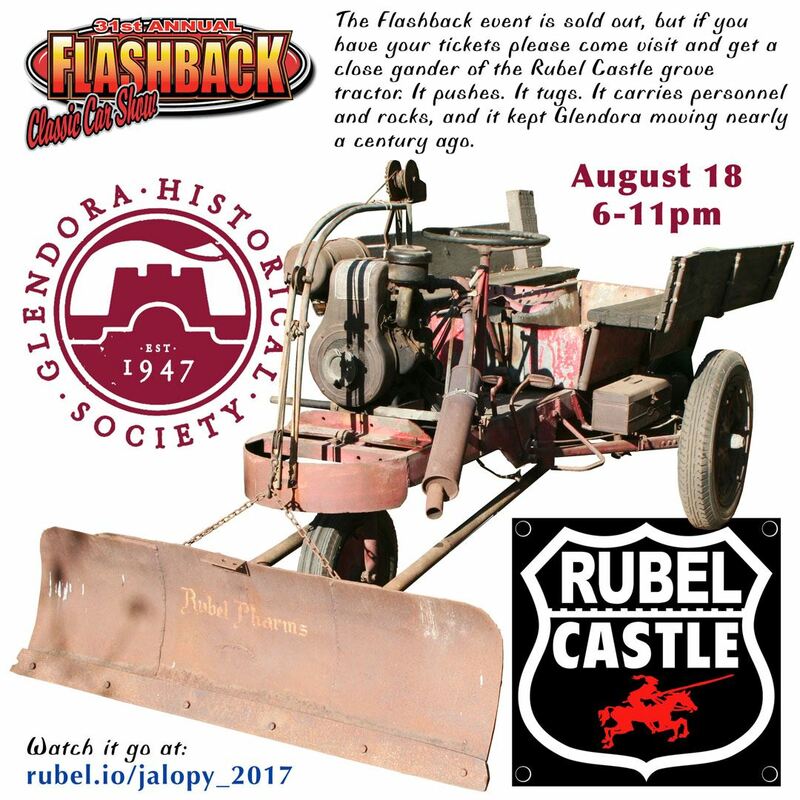 On display at Glendora's 31st Flashback event, the Glendora Historical Society will show off this unique item on August 18, 2018. 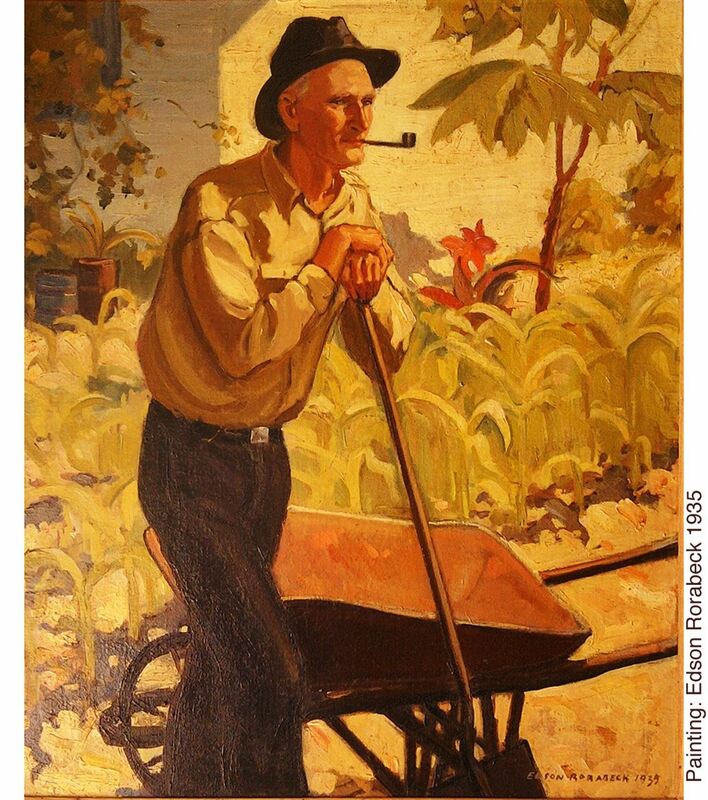 Michael Rubel began collecting vehicles and farm machinery by age 11 and was known in his teens to be a superb mechanic. He eventually owned over 70 vehicles and entered many of them in the Glendora Bicentennial Parade in 1976 and the Glendora Centennial Parade in 1986. 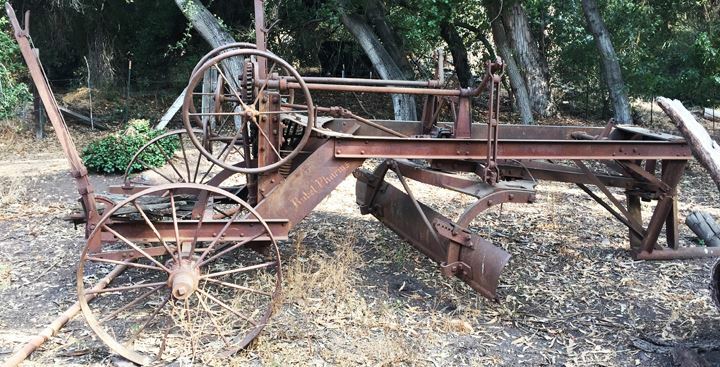 Before his passing he had sold most of them, but the Castle property retains an iconic example of his collection of tractors, trucks, one-lungers, Western pump engines, wagons, and even a couple of luxury cars. See a nice exploration of Castle vehicles on this blog.